Customer Insights is your First Step in Digital Marketing. This is something you really need to keep in mind (and do read the linked post as well). You can't have insights if you don't listen. You need data – and data that's cleverly converted to valuable insight. Social media listening is not just for monitoring social performance or sentiment. It provides a huge opportunity for customer loyalty building and retention. Where are your customers on social media? Which platforms do they prefer – particularly in context of your brand or product. Which particular products and services do they talk about the most. Which ones get no responses at all? What are the sentiments (positive or negative) when they mention these products? Do they recommend them? Do they have consistent positive or negative comments on social that you should encourage or address quickly? And, from a social media point of view, what kind of content are they truly engaging with – commenting, sharing, liking? Are they creating content on social platforms around your brand or product (User Generated Content)? Do they prefer photos or videos? Long form content and blog posts? How To's on YouTube? Unboxings? These above listening points give you so much insight about your customer, that you cannot afford to ignore any of those signals. And, ideally, you should also key in your customer data from your mail or CRM programs. 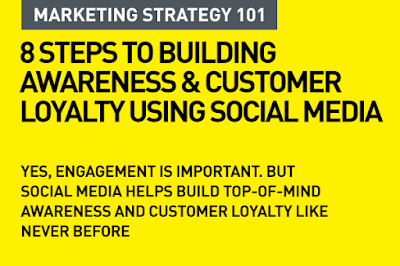 Often brands forget the importance of socially driven customer retention. Social can be of huge help with after sales. Here's where you get feedback from your customers and you build better engagement by creating value for them. Have some sort of a plan – a content calendar – that locks in promotions, customer special offers, seasonal campaigns, and a few dedicated 'customer only' offers and promotions via social. If you create he right value adds for your customers, it becomes easy to up-sell, cross sell across your product lines. This is where brand loyalty kicks in. Value is really key here – and make no mistake, value is not just about deals and offers. Value is perceived benefit as well. When you are there for them as a brand. Honor your customers by responding to their queries and feedback quickly and effectively. A whole lot of brands often don't bother responding to questions and feedback – which really fails their social efforts. No one wants to watch a new product video when they have a beef about a product they already own. Social media customers expect to hear back – almost within the hour. If you are able to maintain a good response rhythm, that in turn impresses the people following your brand who just aren't quite customers yet. Use your social listening tools to identify which of your customers are super fans and loyal, and beyond that, who are the real advocates for your brand. Find ways to reward them – and not just in tangible ways, but also via social recognition when possible. You can create 'Super Customer' clubs on social and offer some value for members – your best customers and advocates. Again, use listening here to get feedback about what they feel about the rewards and recognitions. Which ones work better? Offer a program which your social fans and community can clearly identify as rewarding and one that adds genuine value. It does not have to be limited to special offers. You can offer sneak previews of new launches, special user tips, How To Guides, Upgrades, Product Tips, posts on product benefits they may not know about, and so much more. 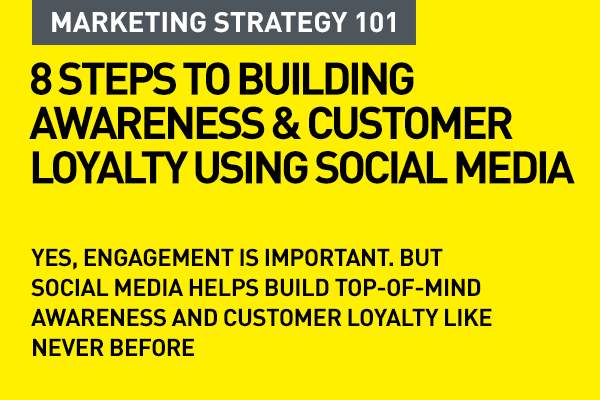 Social media aimed at customer building and retention is beyond just the realm of community management teams. Get your customer support teams, your senior marketing teams, and even your top executives to contribute to your social efforts. Content that comes from top leadership helps establish a sense of rapport with your customers and builds a trust factor that a community manager just cannot muster. You cannot build a community of loyal customers on your social platforms unless you are genuine and human. Your responses, posts, mentions have to be genuine. When a customer heaps praises, retweet and share it with an aded on comment that appreciates their effort. Address their product pain points with empathy – not "We'll get back to you asap". Analyze your results regularly and accurately. What worked? What didn't? Which rewards worked? How quickly did the team respond to customer queries? What was feedback sentiment. And, of course, if you can track social to effects on sales and numbers, that's what really helps. So you need to track everything you do on social from a customer perspective and learn from the results you achieved. Then, keep doing what works and improve on it whenever possible by being creative and meaningful. These are some simple points to remember when you use social media to attract and retain a good customer base. And, no social media strategy should be built without having that as an important reason to exist. This is a nice artThis very informative article and useful to all of us. Thanks for sharing yours views. It is very easy to us to now. So i am very pleased. Keep on this kind of affords. Thanks. "Interesting write. These all are very useful tips in terms of retaining your customers on social media platforms. Regular engagement activities with your loyal customers on social media platforms can work wonders for your business. In today's competitive market it is also important to be in touch with your existing customers, and this is where social media plays incredible role for you. Thanks for sharing all these valuable insights!!!" Our Digital Marketing is 100% down to earth, So that you can catch it all the more quickly. PPC Advertising Agency This was such an amazing read. Thank you for informative post about marketing.